This transcript How to Connect With a Motivated Seller in 5 Easy Steps was adapted from CREonline’s: Affordable Personal Coaching & Training for Real Estate Investors. Congratulations. A motivated seller has called you and left all of their contact information at the end of your voicemail script. Now what? Now it’s time to freak out. No, I’m just kidding. 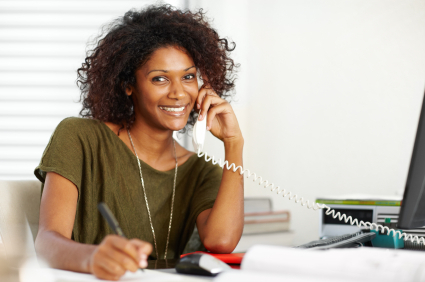 I’m going to give you five simple steps to go through on what you do after a motivated seller calls you, and you call them back. I’m going to give you five specific steps to take to make sure you maximize your experience and find out the level of motivation for that seller. I don’t want you wasting your time with people who really aren’t motivated to sell. But you want to get to the point where you are asking them some basic questions because, when you start to ask questions and they answer the questions, the focus of the conversation is on them. Then there’s a motivated seller, and it starts to allow you to build rapport right over the telephone. The first 30 seconds of the call with the seller are the most important. Be a very good listener. You want to listen to what’s important to them. You want to listen for if they have emotional ties to the property, anxiety about selling. If they’re worried that they have to clean out the contents, if they’re worried about all the repairs that need to get done. Those are all good things. But emotional ties can be major roadblocks to get over. The seller will soon realize that you’re a pro, you know what you’re doing. Once you have the information on how they found you and you have their contact information, just ask them generic questions about the neighborhood. Ask if the house is vacant, rented, what’s been going on with it the last few months or the last few years. If it is rented, then you have to find out what the rent is and things like that. You go from getting their contact information, introducing yourself, and then getting some basic information on the property keeps everything flowing pretty well. What kind of repairs are needed on the house? Are there structural issues I need to be aware of? Is there a central heat and air? And as you start to ask these questions, they’re going to realize that, yeah, you’re a pro, you know what you’re doing. You’re not just some scam guy on the street. You legitimately want to know the condition of the house, so you can make them a fair offer. Then I go through some of the basic information on the structure, like when was it built? How many bedrooms does it have? How many square feet does it have? And then stop – pause, just like I just did. Pause. Don’t say anything. You want to be listening for the reason why they are selling it. If they come back and they say, “Well, I’m not really sure if I’m going to sell or not. It’s going to depend on some different factors.” That means they may not be motivated. Or, “My wife and I are looking to downsize, or we’re tired of being landlords, or can’t keep up with repairs, too old.” Those are good reasons why you’ll want to continue the conversation. But if they’re kind of wishy-washy here, then note that you may not be talking to someone who is motivated enough to sell you that house for pennies on the dollar like you need them to. After I understand the why, I ask a very pointed question right on the telephone. “If you and I can agree on price, how fast would you want to close?” That’s an important question for two reasons. First, it states to the seller that you’re serious about buying his house. And the response you get back allows you to gauge his level of motivation. For instance, if he says, “Man, I’ll clean the place out and we’ll close in ten days – or five days” then that is a highly motivated seller. If he comes back to you and says, “Well, I don’t need to do anything for the next two or three months,” then you’re going to note that that person probably isn’t motivated enough for your wholesaling program. So, I ask the question: “If we agree on price, how fast do you want to close?” Very important question. If there’s no compelling why and no urgency, then they aren’t motivated. And you listen and see what they say. So now you know the why they’re selling. Maybe they’re getting divorced, or have to move, or they’re tired landlords, or just getting too old to maintain the property, or maybe they inherited it. Then you just stop talking. And it gets a little awkward–the silence, sometimes. They’ll come back and say, “Well, I’m looking for $65,000.” At that point, if you know that’s a good price – if that’s in the right ballpark, you can continue the conversation. If the house is worth $60,000, and they want $80,000, then you need to tell them right there, “I think you’re asking more than your house is worth. You probably need to talk to a Realtor instead of somebody looking to buy your house, like me,” and let them go. Just cut the bait and move on. I listen again and see what they say. If they say nothing and it’s just dead silent, I’ll throw out a super low price. So, if the house is worth $60,000, I’ll offer them $25,000. Then I listen again. Now, when I listen the second time, when I give them that $25,000 offer on the $60,000 house, they’re going to come back sometimes very offended. If that number is in line, then we move to step five, which is your face-to-face meeting. If the condition, the location, the price are all in the right ballpark of working for you as a buyer and they are motivated, schedule a time to meet face to face, belly to belly, as I like to say, in the kitchen or living room of their home where you’re going to go out and review it. You’re going to meet their family and determine your max offer on that house. All of this stuff that I just gave you–these five steps–set up a successful face-to-face meeting. If they live outside of the area, you have to wait for them to schedule a time, or maybe someone else in the local area has a key and can meet you and let you in. If they live in the same city as you, you should be able to set up a meeting for the next day or two and go from there. I just want to review some tips here on how to get the person to trust you and to make sure that you’re able to screen out those who are motivated and those who are not. First thing is you have to build rapport quickly. Make it all about them. Just speak conversationally. If you need to get them talking, mention something about the weather or something that’s happening in your local city. Look for their motivation and understand why. Verify what they’re telling you. While I’m talking to a motivated seller, if they give me their address as 123 Main Street, Sacramento, CA, I’m quickly looking up that house on the Internet either the tax records, or Zillow, or somewhere, so I can verify who owns it. I can verify the tax assessments, what it previously sold for, how long they’ve owned it, how much equity they might have, how many bedrooms it has, how many bathrooms, the square footage. All of that’s in front of me while I’m talking to them, and I’m able to verify what they’re telling me. Number four is super important. You don’t want to waste your time working with people who aren’t motivated and sellers who are hard to work with, even on the phone. If you get somebody who’s really difficult on the phone, you’ve gotta decide: Is making $5,000 or $10,000 on that house worth your time, effort, and energy? Because it might not be. You may want to let that seller go, and go onto the next one. There are plenty of them out there in every market you need to sell. So, use the five-step seller script. Introduce yourself, tell them what you do, get their contact information, find out why they’re selling, how fast they need to sell, and the price they’re looking for. Write down that information onto a log as you collect it, set up the meeting, go meet them face to face, shake hands, and buy the house. This is great and to the point. Potential RE Investors take many courses but when it comes down to it there is no deal if you cannot get a motivated seller to speak to you and then feel comfortable that you can get their home sold. It is all about negotiating tactics. Relax on the phone with them. Remembering that this is their home with memories and maybe a sad reason they are leaving. Also if they don’t want to sell now ask them if you may call back in 60 days to see how they are doing. Motivation goes up with time and circumstance. Right on Jane! Be prepared, relax, be a great listener and enjoy the process of solving problems. People say that zillow’s comp is not good, if so which is the best one to use, please? Thanks and please let me have a reply. Very detailed and to the point so that anyone can understand. I know cloud cma is good for comps, I use that then use boldleads for seller leads which has helped. This info will definitely help me with talking to sellers. Thanks for the detailed tips, Jim! Jim……this was indubitably awesome! The best article by far. I have a question…on the face to face meeting, what are some of the questions the seller asks? And what are some question I could ask?